There are a lot of way to see the Best part of Budapest which is capital city of Hungary. 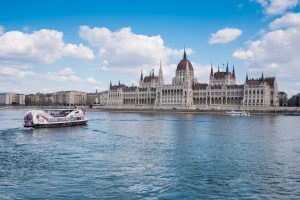 I usually offer for our customers the start their adventure with sightseeing cruise,because it can help to see the most part of Budapest.Furthermore,they can create a plan for the following days, they get an idea where they want to go. 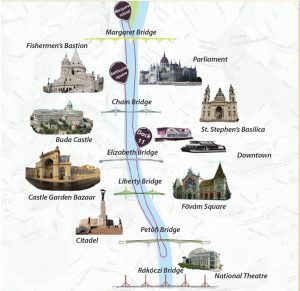 This Sightseeing Cruise goes around between Margaret Bridge and Rakoczi Bridge, the tour takes 80 minutes and it is available with audio guide system in 11 languages. 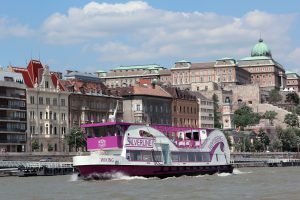 The boat name is Wiking, this is one of the newest ship on Danube, we really offer it because of the great distribution of the boat. There are 2 levels, down-stair you have an opportunity to eat and take a seat, while up-stair you can take nice pictures and selfies with Budapest behind you. When it will be better the temperature in Budapest? What do you think? We already bought a ticket for 19th of january. Do we need worry about the Sightseeing Tour? We think temperature is getting higher and higher day by day. Do not worry, you will have opportunity to see the Wonderful Budapest!